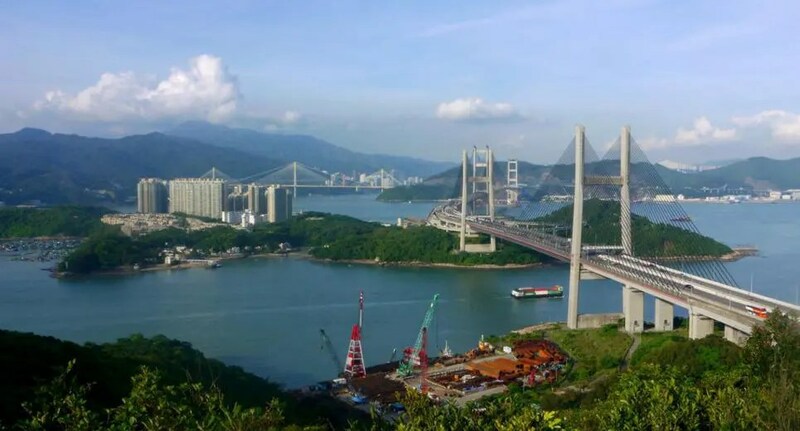 At Fa Peng Teng and Ng Kwu Leng near the Lantau Toll Plaza, hikers can get a perfect shot of Lantau Link, the infrastructures that link the city center to the airport. 1. Kap Shui Mun Bridge, over Kap Shui Mun marine channel, connects Ma Wan and Lantau Island. 2. 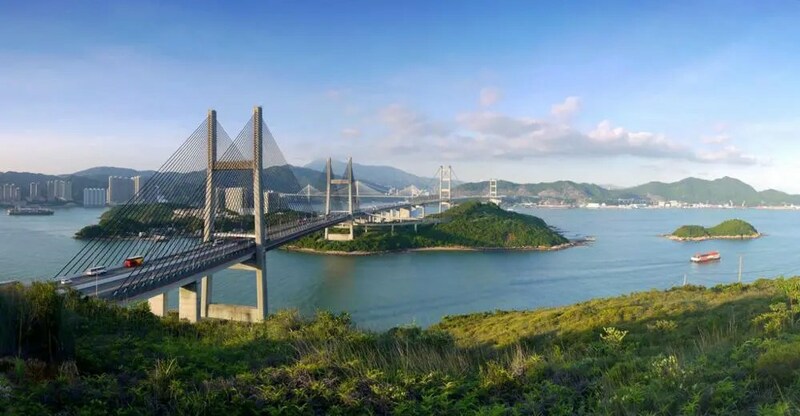 Tsing Ma Bridge, named after the two islands at its ends, Tsing Yi and Ma Wan, is the largest suspension bridge in the world with two decks that carry both road and rail traffic. 3. Ting Kau Bridge connects Ting Kau and Tsing Yi Island over the Rambler Channel. It carries a lot of traffic volume between Northwest New Territories and the Hong Kong International Airport on Lantau Island. 4. Tuen Mun Road is a major expressway in Hong Kong that connects Tuen Mun and Tsuen Wan. It was a great challenge for engineers to build this construction due to the winding coastline and steep terrain. Lots of traffic accidents happened here. 5. Tai Mo Shan is the highest peak in Hong Kong with an altitude of 957m. It is often covered in clouds. The highest point of Tai Mo Shan is occupied by a weather radar station of Hong Kong Observatory. Take any bus that goes to the airport -> Get off at Lantau Toll Plaza -> Fa Peng Teng and Ng Kwu Leng are around you.